Atmospheric scientist Greg Ayers (BSc(Hons) 1972, PhD 1976) is the former director of Australia's Bureau of Meteorology (BoM). Prior to joining the BoM in 2009 Dr Ayers had an impressive career in fundamental and applied research. He joined the CSIRO in 1975 and held numerous roles including Assistant Chief of Atmospheric Research, Chief of Atmospheric Research and Chief of Marine and Atmospheric Research. He is currently on the board of the Antarctic Climate and Ecosystems Cooperative Research Centre and is a supervisory committee member for the Centre for Australian Weather and Climate Research. Dr Ayers holds various editorial positions and has made significant contributions to higher education in atmospheric sciences. He has authored more than 140 peer-reviewed scientific publications. During the course of his work Dr Ayers has registered two patents and two commercial licences for instruments he developed. In 1995 he was awarded the Australian Meteorological and Oceanographic Society's Priestly Medal for achievements in the science of acid deposition. In 2006 Dr Ayers was made a fellow of the Australian Academy of Technological Sciences and Engineering. 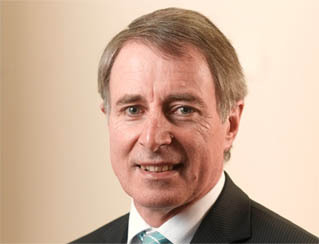 In February 2012 Dr Ayers resigned from the his role as the director of the BoM due to ill health.